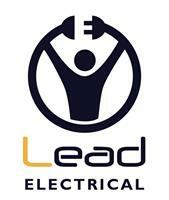 Lead Electrical - Electrician based in Enfield, Middlesex. At Lead Electrical we pride ourselves on meeting customer expectations no matter how big or small the job. Our electricians carry out a safe, reliable service with certified expert knowledge on all domestic and commercial installations. We specialize in a wide range of electrical services from domestic re-wiring to commercial fire alarm installation & maintenance. Fire alarms are an essential for domestic and commercial buildings. They save thousands of lives a year so it’s absolutely crucial that they are installed and maintained properly. Lead Electrical offer full preventative and reactive electrical maintenance services, ensuring your planned electrical maintenance and inspections are conducted on time and efficiently. It doesn’t matter what kind of industry you’re in, as we provide commercial, residential and industrial services.